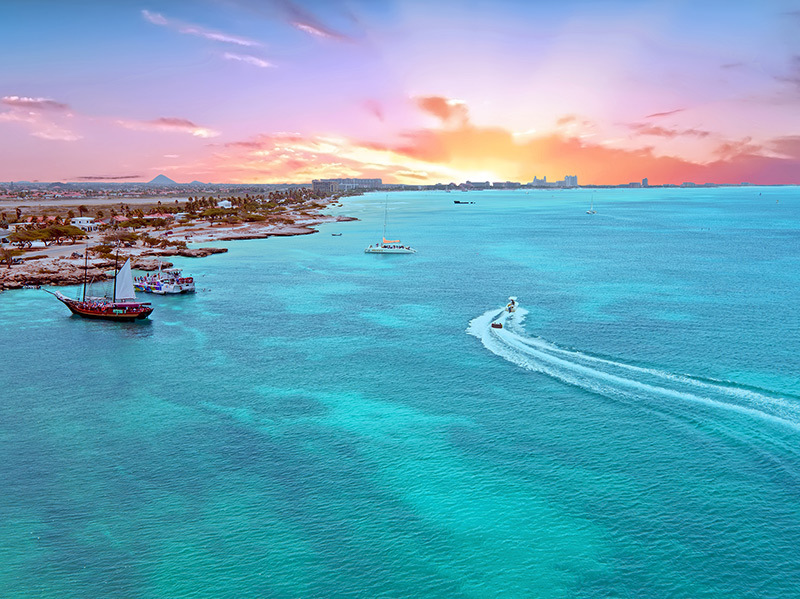 Whilst the Bahamas are strictly speaking in the Atlantic Ocean, many consider them to be part of the Caribbean group of islands and it’s a great place to take the whole family, including the kids. Everyone will be talking about the memories they made during an unforgettable holiday, like shooting a cannon, and swinging on a rope aboard a recently refurbished pirate ship, known as the Jolly Roger (a traditional schooner), or visiting the Barbados Wildlife Reserve and learning about the exotic animals in their natural habitat, which can be found across the road from the Farley Hill National Park, in the Northern Parish of St. Peter. 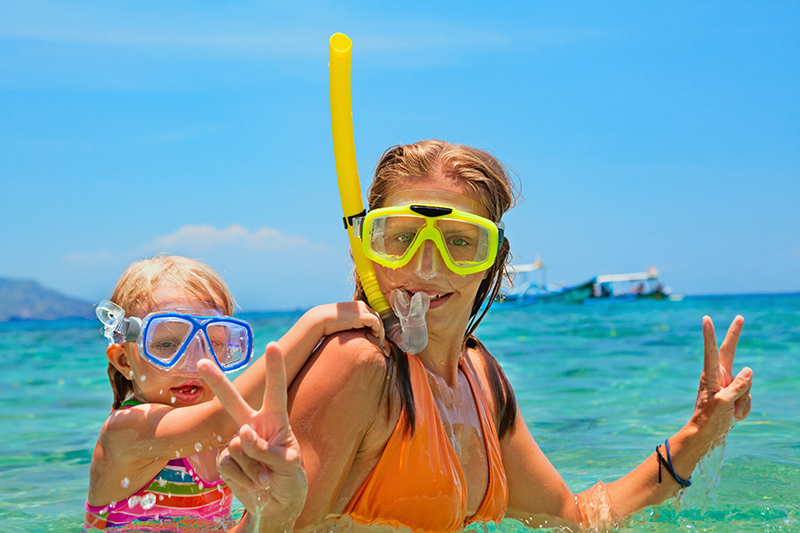 There’s so much to keep your children entertained throughout the entire trip. 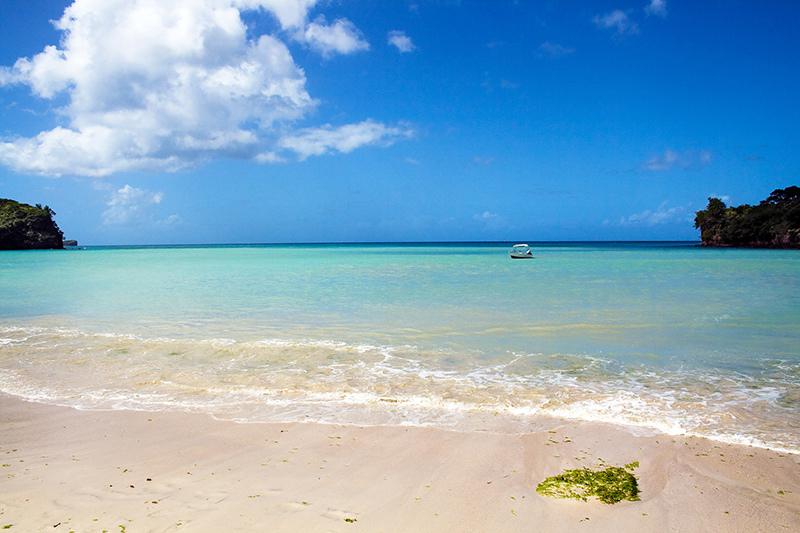 Grenada may not have the most beaches, but there’s no denying the beauty of all 45 scattered across the coast. One of the most popular is the Grand Anse Beach, a 3km stretch of land located in the south of the island and it’s just a short distance from the capital city of St Georges. But if you’d prefer to get away from the crowds and still enjoy a day relaxing by the beach, Grenada is home to some attractive alternatives like Morne Rogue (also known as BBC beach after a nightclub that was once there). It’s a quiet haven lined with almond trees, which provide some shade, and it’s a place many of the locals visit on their weekends. So, don’t forget to pack your beach towel. Antigua translates to 'ancient' in Spanish and its relaxed way of life and small population of just over 80,000 make it the ideal location for igniting romance, whether you plan on holding hands on one of Antigua’s 365 beaches (one for each day of the year), hiking through lemon grass to Antigua’s southern coast and enjoying the magnificent natural views, or simply gazing into each other’s eyes while eating fresh seafood caught that morning, Antigua is the place to be. 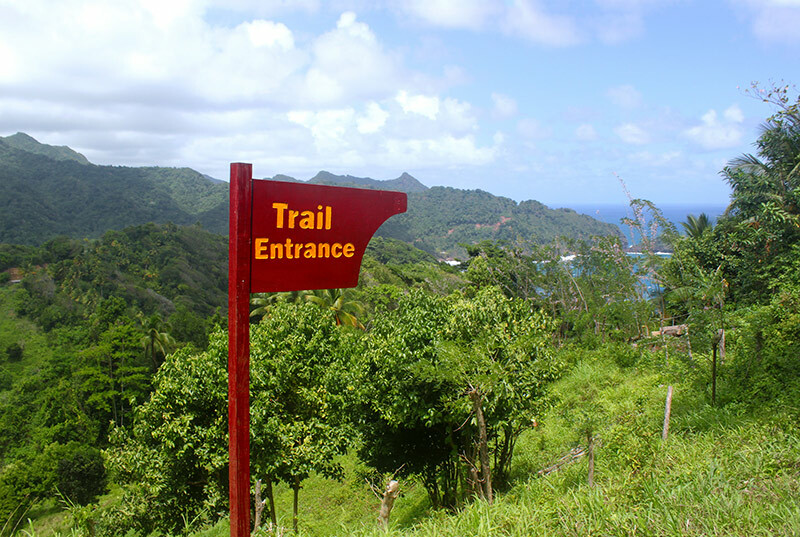 Dominica’s lack of tourism has meant the island has kept its natural charm. A few months ago Andrew and Kate, two of our owners spoke to us about why they fell in love with Dominica and why they think you’ll love it too, particularly if you’re someone who enjoys the thrill of adventure. Imagine taking a row boat to a 20th-century sunken ship and exploring the wreckage with a snorkel, hiking through cocoa plantations, climbing one of the nine active volcanoes and watching the earth bubbling away, or even visiting the indigenous people named Kalinago; a community that has the right to self-rule. It’s the perfect place to indulge your inner explorer. Jamaican cuisine is a mixture of cooking techniques, flavours and influences from the indigenous people on the island, as well as the British, Spanish, Africans, Indian and Chinese who have lived there over the years. It’s home to mouth-watering delights and most of the restaurants and food stalls cater to traditional Jamaican cuisine. So, if you’re aiming to indulge your inner food critic with a taste of some delicious Caribbean food, then Jamaica is the place for you. 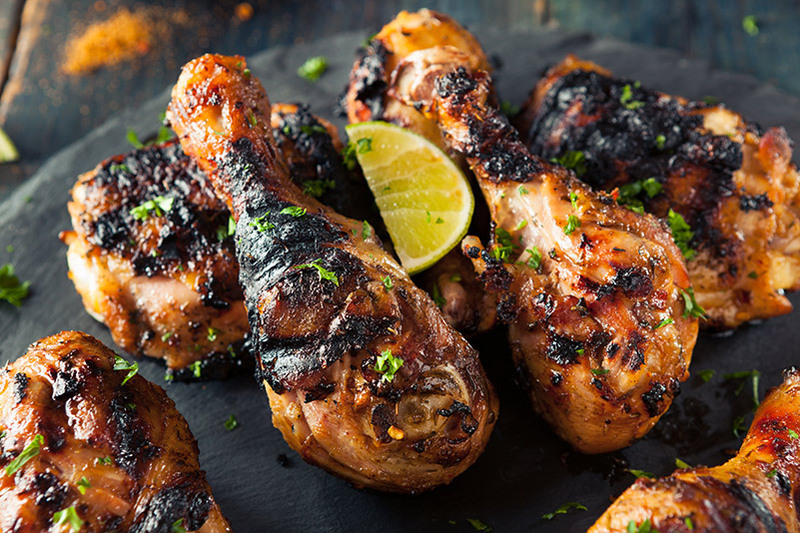 It’s home to some age-old recipes including jerk; a spice rub used to season meats like pork or chicken and it's the national dish of Jamaica, that’s said to have been made by runaway slaves in the 1600s. If you wanted to try a highly popular dish amongst locals then look out for escovitch fish, it's made by taking a fish like snapper and frying it until cooked, then dousing the fish in pickling sauce made from pimento, onions, pepper and carrots. You could enjoy the highlights of Jamaican street food like a patty; a thin flour crust filled to the brim with a mouth-watering filling like beef, chicken, cheese or vegetables. Jamaica is a foodies’ paradise. If you are someone who can’t go anywhere without a camera strapped to you then the Dominican Republic is for you. It doesn’t matter if you’re looking for the ideal selfie, or you’re a budding photographer, the Dominican Republic’s diverse landscape will be a welcome addition to any photo collection. You could snap pictures of cascading waterfalls like El Salto del Limon, close to the coast, or discover a mountain view on top of Montaña Redonda, where you can peer out and see Haiti in the distance, or head to the capital city of Santo Domingo and snap pictures of the Cathedral of Santa Maria la Menor, the oldest cathedral in the Americas. So, don’t forget to pack your camera!